Shopping - love it or hate it, it's nearly impossible to escape the banality or adventure that competes for consumers' precious time. It takes us away from the things we would rather be doing or it can provide immersive and enjoyable experiences. In our world today, consumers live an increasingly “hyperconnected, hyperlife“ – they are more stretched than ever before and are striving to repurpose their time and effort, searching for simpler, easier, more pleasant and purposeful ways of living…including shopping. In light of the above, Africa’s retail environment is evolving to meet consumers changing circumstances and shifting priorities, and not only in the direction of e-commerce. Across the retail spectrum, consumers are increasingly in control, increasingly connected and increasingly looking for more convenient and enjoyable shopping experiences to suit their individual circumstances. This means a new continuum of retailers are emerging to capture shoppers’ attention and wallets – new non-traditional, specialist and niche retailers, clicks and bricks retailers, native e-commerce retailers, manufacturers as retailers and consumers as retailers. In Africa, it is said that retail is everywhere and everyone is a retailer. Connectivity today brings the convenience of hassle-free shopping – anytime, anywhere. The combination of existing connected consumers spending more, more often, and newly connected consumers purchasing for the first time will propel e-commerce growth across Africa. Online retail development correlates strongly with constantly improving internet access, especially in mobile first markets. 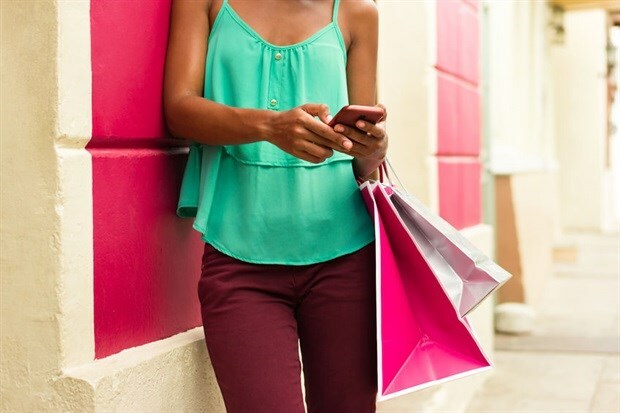 The scope for growth in online shopping in Africa is undisputed, and consumers are increasingly willing to adopt ‘send-it-to-me’ services and more digital elements to improve their on-demand shopping experience. •	Modest modern trade: online-first retailers can leapfrog typical evolutionary stages of development, especially as modern trade retail presence is still in nascent stages beyond Southern and East Africa. Omnichannel facilities will help provide the much needed “digital makeover” to integrate physical and virtual shopping. Today’s off and online purchasing actions rarely happen in isolation, there are now a number of digital shopping activities that precede and succeed the path to purchase, even for physical stores. These actions help to inform decision making; add value, transparency and interaction; and ultimately lead to better buying experiences for consumers. Omnichannel services are an imperative, and for sustained success, retailers need to leverage their consumer relationship information (via their rich datasets and loyalty) – with the right technologies, and a strong focus on convenience – to expand their consumer touch points. Physical shopping experiences are already changing within brick and mortar formats – smaller stores are outpacing the growth of large stores and gaining share of shopping frequency. Smaller stores often already have the advantage of proximity and are well placed to optimise their products and services, beyond daily essentials and snacks. Stores located along busy traffic routes that provide efficient in/out and click and collect offerings will grow in popularity. Circumstances, culture, location, market maturity and technology will be key influencers and important considerations when tailoring solutions for different segments of Africa. But no matter where or for whom, online or offline, consumers are seeking more efficient and enjoyable shopping experiences. Large, small and virtual stores need to be infused with positive, sensory encounters, relevant services and technological capabilities that provide ease, utility and simplicity. In providing these elements, shopping solutions and experiences can enable more fulfilment, enjoyment and balance in people’s busy lives – where time is fast becoming the new currency. Manufacturer, Retailer, Technology, Media and Service brands have a vital role to play in providing an overall experience with easy-to-use, automated, intelligent and digitised options for every conceivable shopping item, incident and interaction. 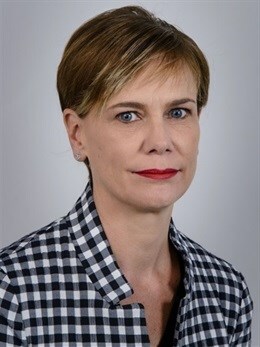 Ailsa Wingfield currently serves as head of thought leadership across Nielsen's global emerging markets, with responsibility for helping companies 'future-proof' their businesses through strategic foresight, knowledge creation and thought leadership curatorship. Ailsa has extensive experience in Africa working with global and local brands in multiple countries across the consumer goods and telecommunications industry.